Anime art is not static. It is constantly changing with each passing year. Some of those changes are noticeable. Others less so. 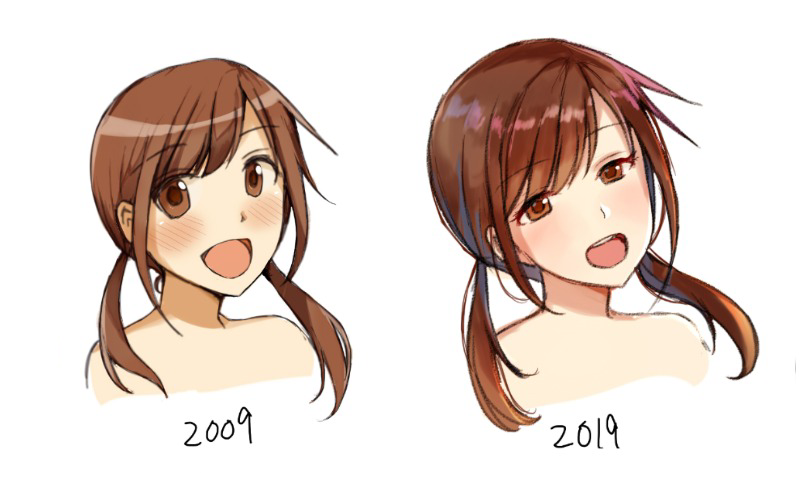 On 2ch, a forum member has posted the above image to explain how anime art has changed in the past ten years. The comparison shows prevalent stylistic touches then and now. The most noticeable changes are the size of the eyes, the cheeks and the way the hair is drawn. It seems the same forum member previously did a comparison between 2010 and 2017. Fascinating to track the changes since 2017 with the top image. Don’t you wonder what anime art will look like in 2030?